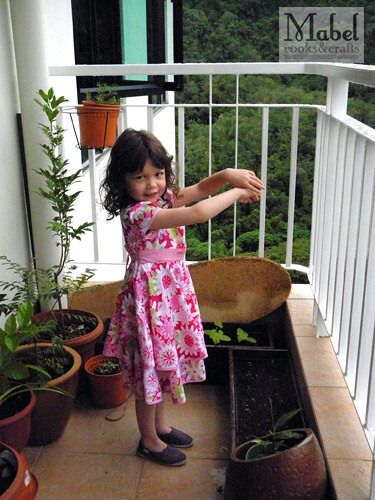 My kids have been surrounded by plants from a young age. I keep plants such as aloe vera, peace lilies and what-nots indoors and the kids have been taught to appreciate and care for these plants. With Eva, we moved a step earlier when she hit 3 years old. It was the summer holidays and we were at my mother-in-law’s place. She has a huge garden with tomatoes, trees and bushes so we got Eva to harvest some vegetables, flowers and yes, water the plants. 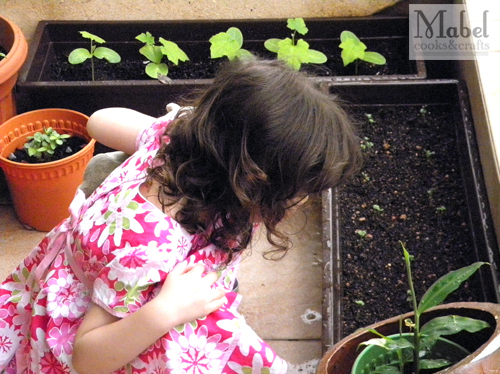 When we arrived in Penang, I decided to try my hand at planting vegetables. I thought it would be a fun way to let Eva see where food comes from and to appreciate how much work it takes to grow the vegetables that we eat every day. So apart from the usual home staples like aloe vera and peace lilies, we bought some planter boxes and pots to get started on our balcony garden. 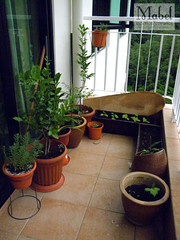 We started with angled petolas (which didn’t do so well due to constant bug infestation so I removed them) and choy sum. 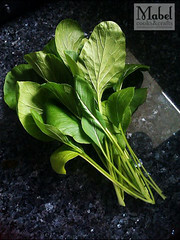 As you can see above, the choy sam fared pretty well although growth was a little on the slow side since I went the organic route and only used hummus fertiliser, goat manure and some Epsom salt. We got our first harvest two months after sowing and germination. The bunch you see is from three plants – I lobbed off the top and kept the bottom most two leaves and roots in to see if I could get another round of veg from it. The planter is still pretty full and I’m starting to see some flowers being put out so another harvest might be in order soon. 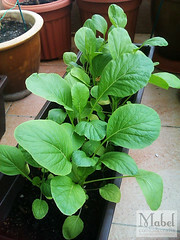 Since the harvest, we have purchased another two (albeit smaller) planter boxes and this time, I have sowed some bok choy and Hong Kong choy sam seeds. Our ginger plant is doing quite well and we also decided to plant another small bulb as it was sprouting. I also have some mint going in a large pot! Eva is pretty excited about the garden and I’ll be getting her to help me fertilise and water these boxes every few days. Hehehehe. « [Column] What happened to my life?